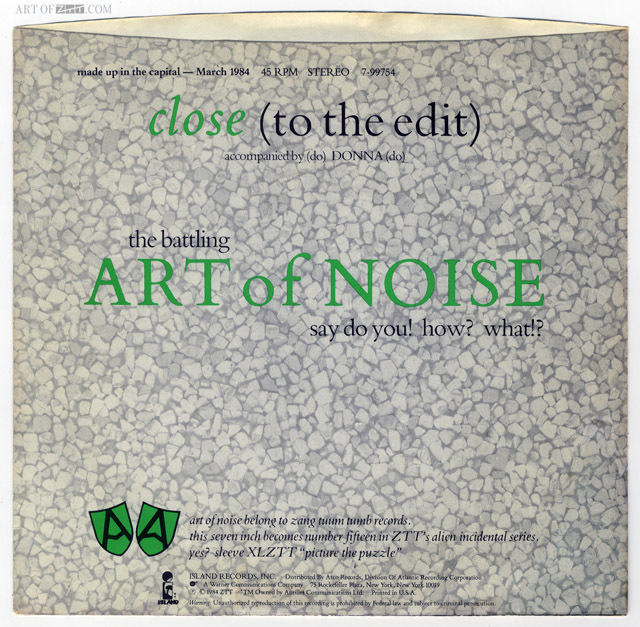 artist: Art Of Noise title: Close (To The Edit) format: 7″ single design: XLZTT photography: n/a cat. no: 7-9974 date: 05/84 art of notes: This US only 7″ has an exclusive different mix of ‘Donna’ on the B-side unavailable elsewhere until much later called ‘(do) Donna (do)’. 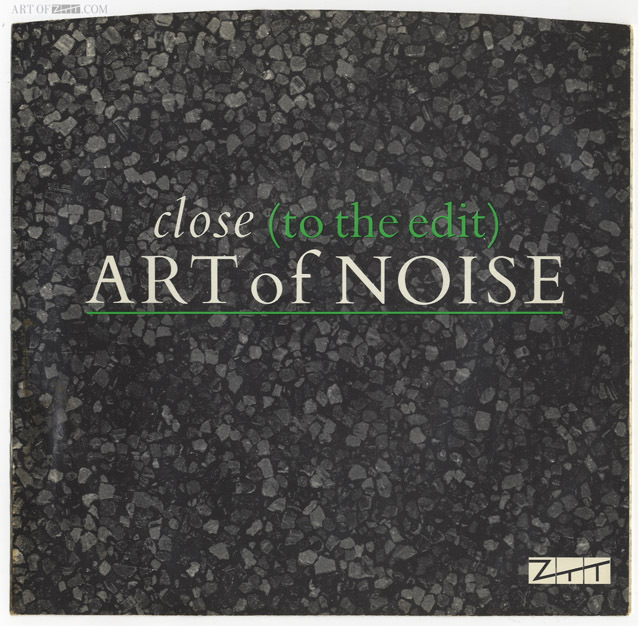 It is actually on Island despite a ZTT logo on the front and has a catalogue number and on-body labels to reflect this.